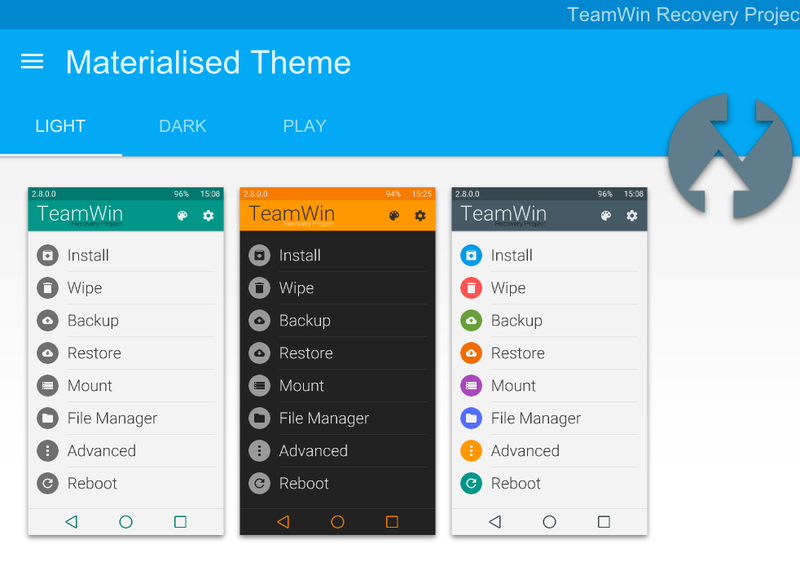 Now you can theme your recovery like Android 5.0 Lollipop Material UI . z31s1g Senior XDA developer made it possible to theme TWRP recovery which will look quite amazing . The name of the Theme is Materialised theme and its the first theme of Android 5.0 Lollipop ( Material UI ) for a recovery . The theme is awesomely design , there are 15 different accent colors, center clock option, different navbar button layouts and more .. It only supports now some screen resolutions only and will support all resolutions later on .You can Download it from below and follow the below steps to Install the theme . Note - You must have TWRP installed to install the theme ! Step 2. Open your SD card and Open the folder TWRP > Make a new folder theme ( yes small letters ) . Step 3. Copy ui.zip file to TWRP > themes ( the folder you made in step 2 ) . Step 4. Boot to TWRP ( recovery ) mode !